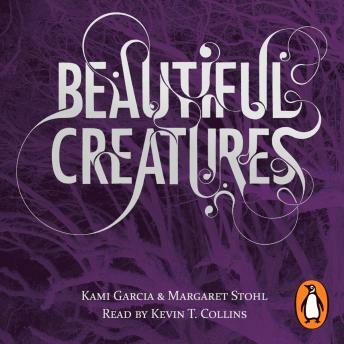 The unabridged, downloadable audiobook edition of Beautiful Creatures by Kami Garcia and Margaret Stohl, read by the actor Kevin T. Collins with Eve Bianco. Featuring original music by Michele McGonigle. In Ethan Wate's hometown there lies the darkest of secrets. Slowly, she pulled the hood from her head. Green eyes, black hair. Lena Duchannes. On the Sixteenth Moon, the Sixteenth Year, the Book will take what it's been promised. And no one can stop it. Ethan never even saw it coming.